Serving pizza for the big game? 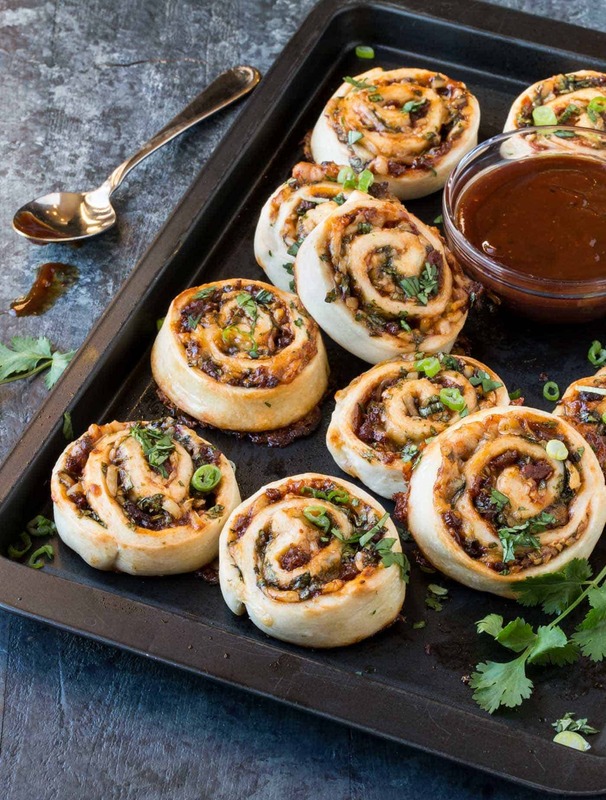 Put a flavorful new spin on a classic party food with these BBQ Chorizo Pizza Pinwheels. Pizza is always a crowd pleaser whenever you need to feed a group. Whether you order delivery or make your own from scratch, there are rarely leftovers. But even the pizza die-hards can get tired of the same old, same old every time you get together. 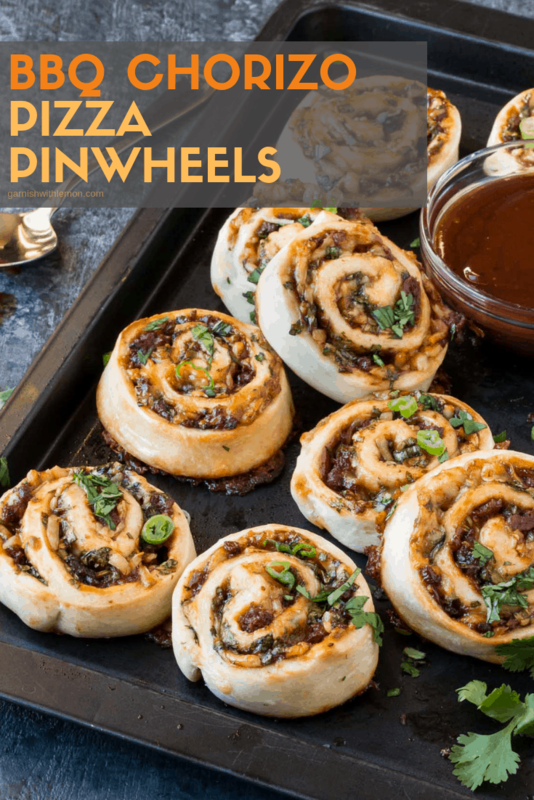 Which is why these BBQ Chorizo Pizza Pinwheels are a flavorful way to entice those pizza lovers with tasty new flavors. These BBQ Chorizo Pizza Pinwheels deliver much bigger flavor than their short, 6-ingredient list suggests. The secret to this winning flavor combination? The sauce. On top of being all natural (meaning no artificial preservatives or colors), the rich flavors of molasses and brown sugar in the Stubb’s Sticky Sweet Bar-B-Q Sauce are the perfect partner for the spicy chorizo, buttery Monterey Jack and mild green onions. 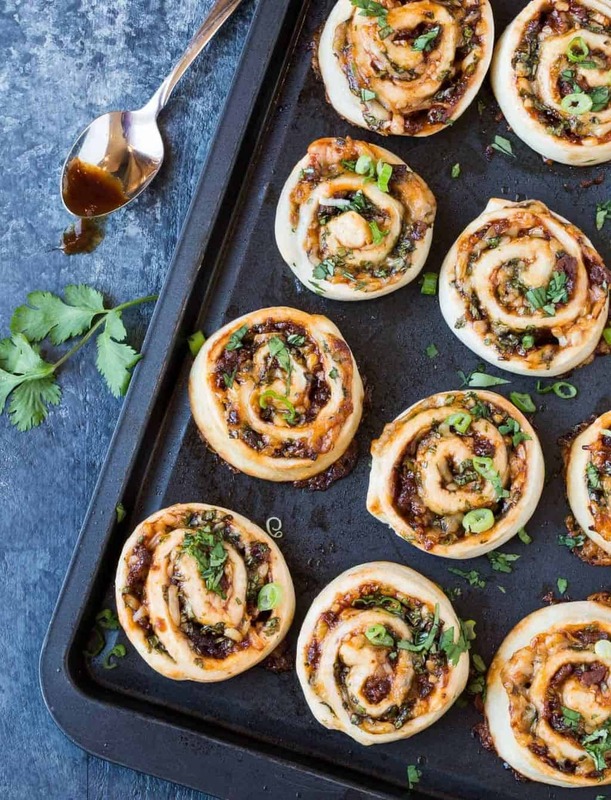 Tip: These BBQ Chorizo Pizza Pinwheels can even be prepped an hour or two in advance, which makes them ideal for entertaining or nights on the run. Pull the sliced (but still unbaked) Pinwheels out of the fridge for 20 minutes before you’re ready to bake them, You may need to tack on an extra minute or two to the baking time since they were recently chillin’ in the fridge, but that’s a small price to pay for their fragrant, savory, cheesy deliciousness. Just make sure you serve some extra Sticky Sweet Bar-B-Q Sauce on the side as these babies simply beg to be dipped when pulled warm from the oven. Enjoy this pizza pinwheels recipe as a warm appetizer when entertaining or double the recipe and gobble up the entire lot for dinner. However you eat them, your pizza addiction just got more flavorful with these BBQ Chorizo Pizza Pinwheels. Disclosure: This post was sponsored by Stubb’s Bar-B-Q. All opinions are my own. Thanks for supporting the companies that allow us to develop unique content for you. Preheat oven to 375 degrees. Place a piece of parchment on a sheet pan. Set aside. Use a rolling pin to roll out pizza dough to about size of the sheet pan. Evenly brush sauce over dough with a pastry brush. Sprinkle dough with chorizo, cheese, green onions and cilantro. Starting with the longest end, roll up dough as tightly as you can. Using a sharp serrated knife, cut log into 1/2” pieces. Bake for 15-18 minutes or until starting to brown. Sprinkle with additional green onions and cilantro and serve with more Stubb’s Sticky Sweet Bar-B-Q Sauce for dipping. These sound great! Pinning and can’t wait to try them out on my family. Hope your crew enjoys them as much as mine! Oooooeeeeeee!! I make little pinwheels of all kinds, but have to say, these sound SO good, on my list to make for next time! Ha! I remember those days. Now I hear those days at my son’s house. I think you did a fab job of balancing all requests this time. Thanks, Carol! I know I’ll be removed from the chaos some day, too. Guess I should embrace the craziness while I can! These are just perfect for parties! They look loaded with flavor too! Thanks for sharing!